When I was at the Houston Quilt Festival, I took a class with Robbi Joy Eklow. 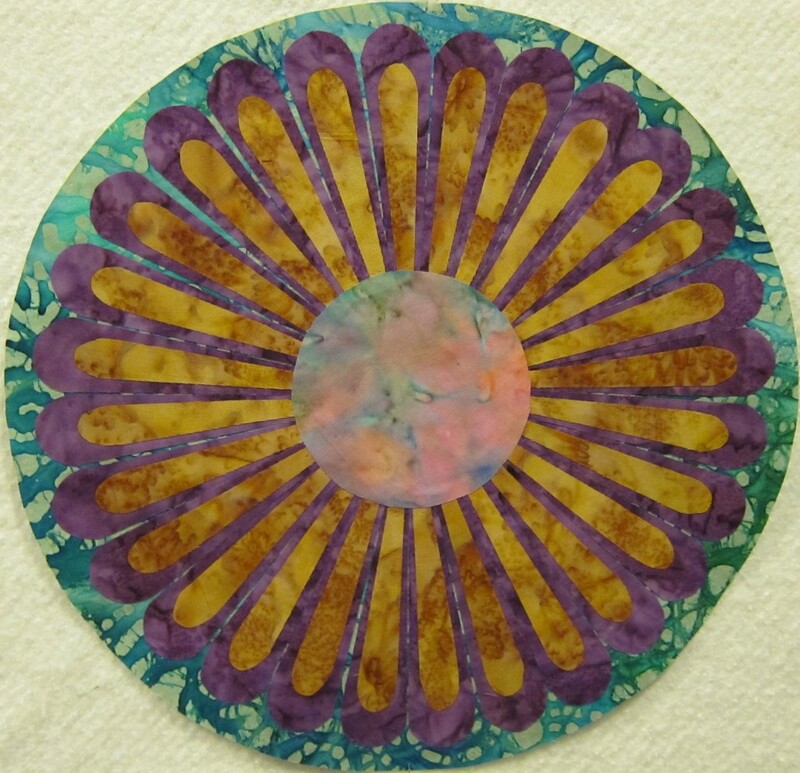 Robbi makes incredibly colorful, large scale quilts using fusible web. For the uninitiated, fusible web is like a layer of glue that goes between pieces of fabric. It comes with paper on both sides. You take off one side of paper and iron it to the back of your fabric. Take extra care to make sure you have the paper side down, on the ironing board. More than once over the years I had the glue side down and it makes an extremely stick mess. Once your fabric is backed with the web and paper, decide where you are going to place the piece (on another piece of fabric), peel off the paper, and with the glue side down (!! ), press the top fabric on to the bottom fabric. Here is a video of Robbi Joy Eklow and her studio. She demonstrates some of her techniques. I have a lot of experience with fusible web. My my children were very young, I used to take plan t-shirts and iron on different designs using the web. Then, I’d use fabric paint to seal between the applique and the t-shirt. It was a lot of fun and I wonder if they still make the appliques (I bet they do). Click here to see what Robbi Joy Eklow’s quilt, Steamboat Sublime, looks like. I don’t know if I’ll do the entire quilt as she has it. But, using fusible web in this way has opened up some new ideas for future quilts. This entry was posted in Fusible Web. Bookmark the permalink.